The United Nations (UN) has raised its concerns with Southern Africa Development Community (SADC) regarding food problems in the region, particularly in Malawi. A report that was carried out by BBC radio’s focus on Africa on Monday night indicates that Malawi is currently UN’s country of great concern, among other affected countries. 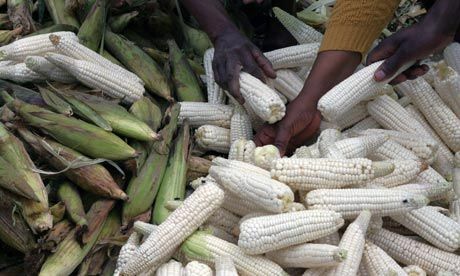 According to the UN, the SADC region has fallen victim to food shortages more than any African region and the three most affected countries are Malawi, Zimbabwe and the island nation of Madagascar. Malawi has been singled out as a country which is going through tough times considering that it has more people sleeping on empty stomachs. Environmental changes which lead to inadequate rainfall are said to be the main hindrance towards the country’s agricultural sector. The UN has mainly cited this year’s floods which the country experienced as the cause. The country was subject to high rainfall early this year which led to floods that destroyed property and crops and displaced people. The lower Shire region was the worst hit. The global body reports that in Malawi, about 3 million people are experiencing food shortages. The situation at hand calls for global intervention according to the UN since food problems incite a worldwide call. The environmental villains that ‘befriended’ Malawi early this year also had a negative impact on the country’s economy, companies were not able to meet their targets in producing due to damages to infrastructure among others. In this light, the UN says it will take through its World Food Program (WFP) branch which partially provides answers to global food issues. Countries that fall main beneficiary to actions of the WFP are those that are in a state of emergency or wars as well as those countries which play host to refugees. According to environmental experts, this year is going to be one of the greatest in as far as the fall of rainfall is concerned. Malawi is going to receive adequate rains, and this has potential of restoring the country’s glory days in food security. zibare zinatha cifukwa canjara ya 2002.
anthu enanu ndinu alendo ku malawi, , azikuposani ndi mwana wa zaka five kuti nthawi ya Muluzi anthu amafa ndinjala, , chakumwela uku athutu amadya ma roots a mitengo, , mwaiwala chimanga cha yellow kumawanamiza anthu ,,,, chimanga lero akachionesa ku lumphi mawa ku chitipa, , nyanja anagulitsa ankhafuna kugulisaso anthu kuti tikhale ma moslims ….muziganiza kaye kawiri kayatu musanalembe coz first born wanu azakukuoozani mu talemba mbwelera apa.